When you visit Europe, there are so many destinations for you to see. Even though the distances are short, it can still be complicated to travel around for cheap and border-less. Luckily, there are many different ways travel in Europe. Many people choose to travel by rail, but trains in Europe can often be expensive. Some people look for cheap European flights; however, this can be inflexible and uneconomical especially for multiple destinations. That is why we offer bustrips from Amsterdam to those biggest destinations close to Amsterdam like Brussels, Antwerp, London, Paris, Berlin and many other destinations. We have selected a view, but when you want a quotation for any destination you would like to go, send us an email at info@ticketbar.nl. In cooperation with a local Dutch provider, we offer low cost bus fares which means you can travel Europe even on the tightest of budgets and see Europe by coach gives you a freedom and flexibility not offered by any other form of transportation. 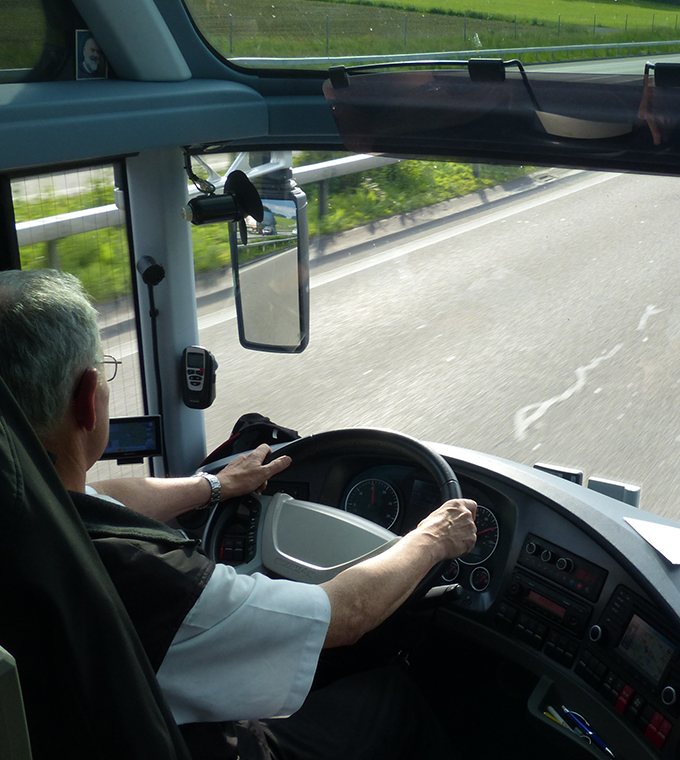 Our Eurolines coaches connect all the major European cities together, and our relaxed timetable makes travel around Europe a stress-free and enjoyable experience. The busses departure daily at Stationsplein at Amsterdam-Duivendrecht. The departure location is located at a big train/metro station that you can easily find when using the train or metro from Amsterdam Central Station (or other stations). When you select a return trip, you can give your preference after the booking by selecting the date of return and the preferred departure time. 1) Select the date you want to departure. 2) Select if you want a return trip or a single trip. 3) After the booking (when you selected a return ticket) you can inform us about the date you want to travel back and the preferred departure time. We will confirm by email before booking. My planned itenary is not part of the options or I would like to travel through Europe, what can I do? In that case, contact Ticketbar at info@ticketbar.nl, and we will send you a quotation for your entire trip. Book your tickets online and make sure you have a seat in the bus!